Liu, T., & Sekiguchi, T. (Accepted for Publication). How does the use of a foreign language affect team processes and member stress and satisfaction? Japanese Journal of Administrative Science, 30(4). Khalid, S., & Sekiguchi, T. (Forthcoming). The mediating effect of glass ceiling beliefs in the relationship between women’s personality traits and their subjective career success. NTU Management Review. Selke, R., Sekiguchi, T., Moehle, A., Elsharqawy, A., & Streich, P. (2018). Foreign language proficiency as an asset for Japanese graduates. IAFOR Journal of Education, 6, 103-120. Khalid, S., & Sekiguchi, T. (2018). The role of empathy in entrepreneurial opportunity recognition: An experimental study in Japan and Pakistan. Journal of Business Venturing Insights, 9, 1-9. Sekiguchi, T., Li, J., & Hosomi, M. (2017). Predicting job crafting from the socially embedded perspective: The interactive effect of job autonomy, social skill, and employee status. Journal of Applied Behavioral Science, 53, 470-497. Froese, F. J, Sekiguchi, T., & , Maharjan, M. P. (2017). Korea and Japan. In F. L. Cooke & S. Kim (Eds. ), Routledge handbook of human resource management in Asia. Routledge. Maharjan, M. P., & Sekiguchi, T. (2017). Human resource management practices of Japanese companies in India: Dealing with the transfer–adaptation dichotomy. Journal of Asia Business Studies, 11, 323-341. Ghosh, D., Sekiguchi, T., & Gurunathan, L. (2017). Organizational embeddedness as a mediator between justice and in-role performance. Journal of Business Research, 75, 130-137. Sekiguchi, T., Takeuchi, N., & Iguchi, C. (Eds.) (2016). International human resource management. Tokyo: Chuo-Keizai Sha. Holtom, B. C., & Sekiguchi, T. (2016). Exploring the relationship between job embeddedness and organizational citizenship behavior. In P. M. Podsakoff, S. B. MacKenzie & N. P. Podsakoff (Eds. ), Oxford handbook of organizational citizenship behavior. Oxford University Press. Bebenroth, R., Ismail, M., & Sekiguchi, T. (2016). Target firm employee perceptions of procedural and interpersonal justice. Human Systems Management, 35, 165-173. Li, P. P., & Sekiguchi, T., & Zhou, K. (2016). The emerging research on indigenous management in Asia. Asia Pacific Journal of Management, 33, 583-594. Grill, T. V., Maharjan, M. P., & Sekiguchi, T. (2016). Human resource management of Japanese companies in Hungary: How do the Japanese and the Hungarian styles blend? Journal of East-West Business, 22, 145-167. Maki, M., & Sekiguchi, T. (2016). An empirical investigation of human resource management in Japanese foreign subsidiaries. Journal of International Business, 8 (1), 89-105. Sekiguchi, T. (2016). Bridge individuals in multinational organisations. Australasian Journal of Organisational Psychology, 9, 1-4. Fujimoto, Y., Ferdous, A. S., Sekiguchi, T., & Sugianto, L. (2016). The effect of mobile technology usage on work engagement and emotional exhaustion in Japan. Journal of Business Research, 69, 3315–3323. Maharjan, M. P., & Sekiguchi, T. (2016). The influence and effectiveness of US-style and Japanese-style HR practices on Indian firms: A conceptual perspective. South Asian Journal of Human Resource Management, 3, 58-74. Sekiguchi, T., Froese, F. J., & Iguchi, C. (2016). International human resource management of Japanese multinational corporations: Challenges and future directions. Asian Business & Management, 15, 83-109. Maharjan, M. P., & Sekiguchi, T. (2016). Human resource management practices at foreign-affiliated companies in least-developed regions: US and Japanese companies in Nepal. Asian Business & Management, 15, 137-164. Hosomi, M. (2016). Consequences of Abusive Supervision: The Moderating Effects of Job Characteristics and Resources in the Family Domain (Abstract). The Japanese Journal of Labour Studies, 667, 78. Liu, T. & Sekiguchi, T., & Dahana, W. D. (2018). Functional and linguistic bridging in multinational corporations: Moderating effect of cultural identity integration. 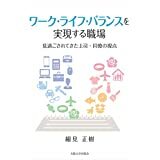 Discussion Papers in Economics and Business 18-26, Osaka University, Graduate School of Economics and Osaka School of International Public Policy (OSIPP). Yang, Y., Li, J., & Sekiguchi, T. (2018). Supervisors’ Responses to Employee Voice Behavior: An Experimental Study in China and Japan. Discussion Paper No. E-18-006, Graduate School of Economics, Kyoto University. Khalid, S. (2018). Being There: The Role of Mindfulness in the Entrepreneurial Process. 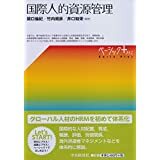 Discussion Papers in Economics and Business 18-18, Osaka University, Graduate School of Economics and Osaka School of International Public Policy (OSIPP). Kanako Akagi, Creative Award, Kyoto University Graduate School of Management Service & Hospitality Program Final Presentations, January 2019. Jiun-Yan Wu, EAMSA PhD Award, The 2018 Conference of the Euro-Asia Management Studies Association (EAMSA), Yongin, Korea, November 2018. Ting Liu, EAMSA PhD Award, The 2018 Conference of the Euro-Asia Management Studies Association (EAMSA), Yongin, Korea, November 2018. Cheonghwa Kim, WJi Wang, Masaki Tsuji, Soichiro Tokuriki, Shiori Noguchi & Yosuke Banno, Special Award, School of Economics Research Paper Competitions, Osaka University, February 2017. Masaki Hosomi, JAAS Encouragement Award, The Japanese Association of Administrative Science, November 2016. Yunyue Yang, EAMSA PhD Award, The 2016 Conference of the Euro-Asia Management Studies Association (EAMSA), Suzhou, China, October 2016. Saddam Khalid & Tomoki Sekiguchi, Recommended Paper Award，The 2016 Management Theory and Practice Conference, April 2016. Yuta Sasaki, Satsuki Shiratori, Rintaro Matsuzawa, Makoto Yamanashi & Manami Yui, Excellent Paper Award, School of Economics Research Paper Competitions, Osaka University, February 2016. Tomoki Kado, Koutaro Shosha, Soichiro Tokuriki, Tsubasa Nakajima, & Takaaki Nagato, Excellent Paper Award, School of Economics Research Paper Competitions, Osaka University, February 2016.